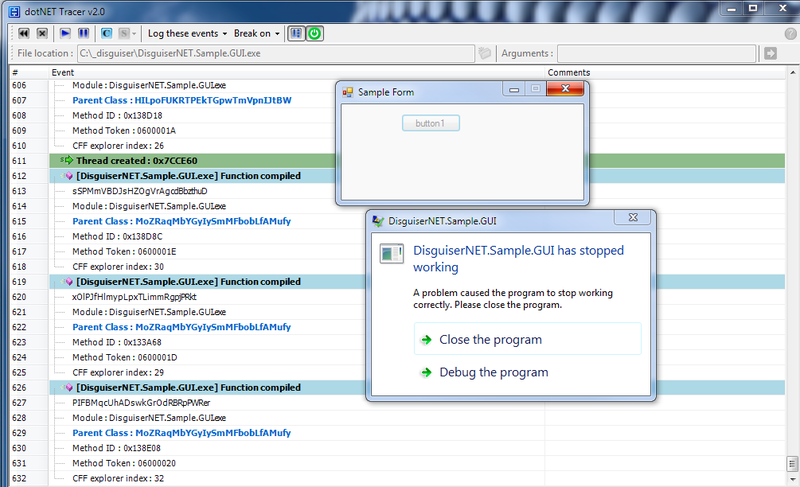 CFF Explorer is another invaluable tool for .NET reversers. Unfortunately it is closed-source and is not actively maintained anymore. One of the most annoying problems is that it cannot correctly process .NET metadata in some assemblies protected by ConfuserEx (and few other protectors). As you can see, Module data make no sense and Methods also look weird. Since CFF Explorer is closed-source, I had to reverse-engineer parts of it. Then I created a small code cave and added extra code that checks flag value and skips over extraData field, if necessary. If you're interested how exactly it was done, check address 004689CC and added code at 00589800.
dotNET Tracer is a great tool created by my friend Kurapica. It provides information really useful for analyzing different .NET protections, like which modules are being loaded, which functions are being JIT-compiled, and so on. 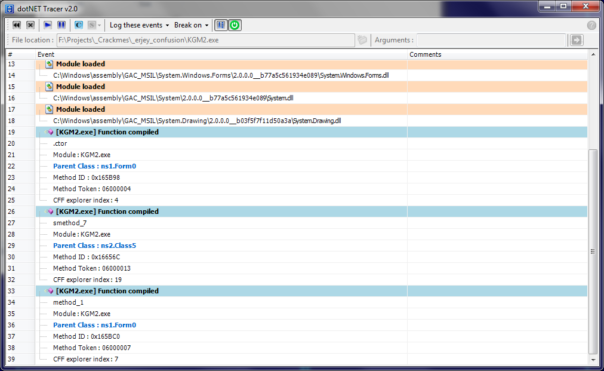 After profiling dll (system.dll) is initialized, it resets first 2 environment variables, but forgot to reset the 3rd one. Disguiser detects presence of that variable and crashes. Oops. 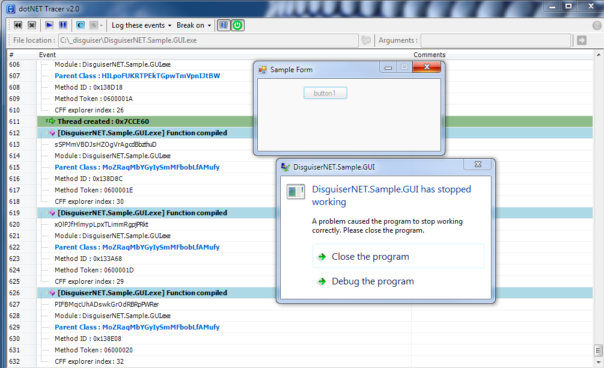 When you close dotNET Tracer, traced process will be killed automatically. I respect Kurapica's wishes and therefore source code will not be made available. I'm kao, I break stuff. Decent reverser, average coder.. Not a member of any team, I do what I want whenever I feel like. Most of people consider me a freelancer. What skills do I have? Well, who needs skills, when you have an opinion? And I have opinion about everything. smile On a more serious note, I've worked with certain private game servers. File format analysis, network protocol analysis, data file unpackers, that kinda stuff. Unpacking executables is another of my favorite disciplines. 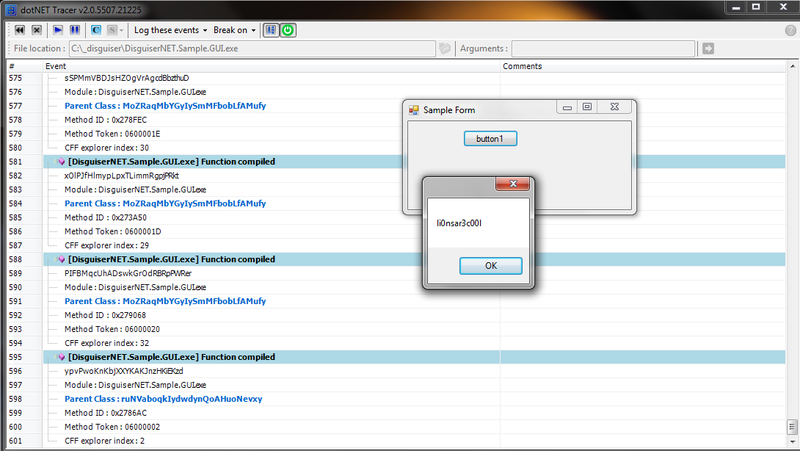 And, of course, reversing .NET protections. In this blog I'll be writing about things that interest me - software, reversing, tools and technology in general. I'm just not a huge believer in politeness and sensitivity being preferable over bluntly letting people know your feelings. If you don't like my way of expression, please f*ck off. Otherwise - welcome to my blog!